The Fluid Round Flush Mount resembles flowing water. 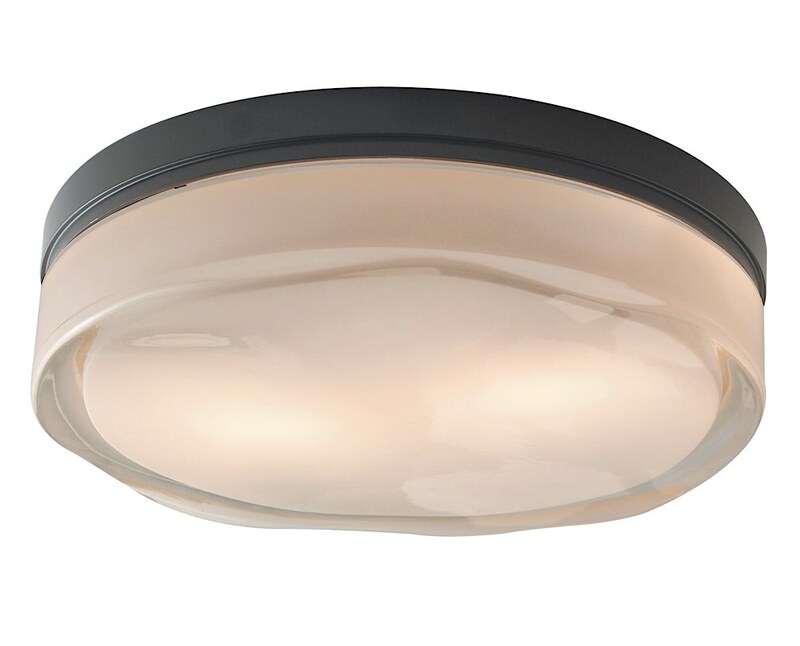 Because of the curved glass, the look of the light fixture varies at different angles depending on how the light is shining through. Created by pouring molten glass in a mold then polishing to a glossy finish, this would compliment a hallway, bedroom or bathroom perfectly! The Fluid is available in two sizes, large and small. It comes in three hardware finishes. Small is available with incandescent lamping (1 x 40W halogen) or LED lamping (1 x 10W LED module). Large is available in three lamping configurations: incandescent, fluorescent, and LED. Large incandescent includes 2 x 40W halogen lamp; large fluorescent includes 2 x 13W lamp; large LED includes one 18W LED module. The incandescent version is dimmable with a standard incandescent dimmer (not included). The LED version is dimmable with a low-voltage electronic dimmer (not included). For full information, download the specification sheet.